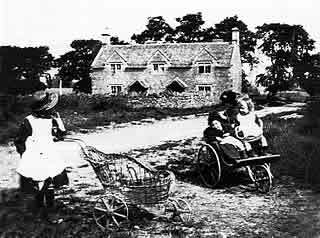 Nestling in the Coln Valley, Coln St Aldwyns is a traditional estate village essentially made up of modest cottages and houses in the Cotswold tradition. The main street starts at the valley river bed, cuts up through the heart of the village and ends at the central focal point which is a large horse chestnut tree planted on a raised circle of grass. It boasts a Norman Church and is one of the most unspoilt villages in the area, the parish being within a Conservation Area and Cotswold Area of Outstanding Natural Beauty. The cottages are mostly 17th or 18th century, but there are also a number of late 19th century estate cottages built for Williamstrip Park, the large country house and estate of Sir Michael Hicks Beach at that time. Click on the coloured tabs above for greater detail. 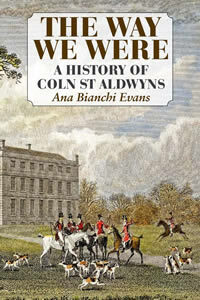 Review by June Lewis Jones – Cotswold Life March 2011 "Superbly illustrated, meticulously researched and annotated with personal memoirs, Ana Bianchi Evans has produced the perfect balance between scholarly study and captivating insight into the everyday life of those who have, and those who still do live their life 'far from the madding crowd's ignoble strife'." 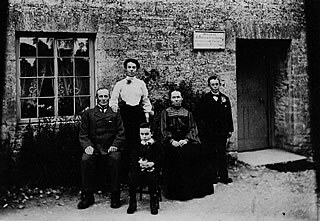 'A Century of Change' is a remarkable document which charts the changes that have taken place throughout the 20th century in three Cotswold villages and one town: Hatherop, Coln St Aldwyns, Quenington and Fairford. 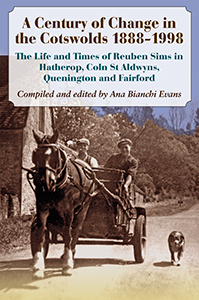 Reuben Sims memoires encompass a period from 1888, when his grandfather moved from Bibury to Hatherop, until his death in 1998. 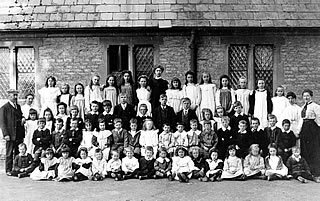 It is a social history spanning over 100 years and a testament to a way of life that no longer exists. 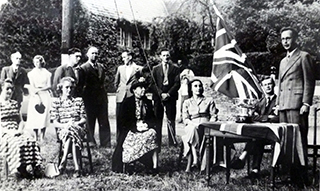 It is written with a deep affection for his Cotswold roots and the people who lived and worked in the communities around him.